Let’s do it again Shore Drive! Residents have expressed interest in improving alternatives for people who wish to navigate the city without an automobile. 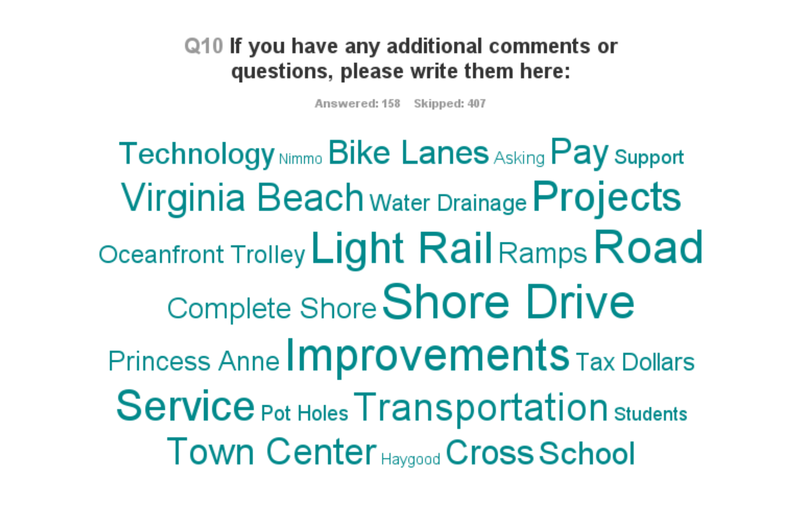 But walking and biking around some areas of Virginia Beach can be difficult. The city is reaching out to citizens for input on how we can make it better. This entry was posted in Current Concerns, Photos, Quality of Life, Safety. Bookmark the permalink. Connecting existing sidewalks. Don’t obstruct bike paths. Keep them clean and free of sand.